Read the Q&A section on Banksy’s website* and be prepared for simple responses. Question: Best and worst part of creating Street Art? Answer: Make your mistakes in public. What is worth doing, even if it contains mistakes? What risks are we willing to take in order to connect an idea with a community that may care? Who are we willing to disappoint in order to complete our quest? The opportunities that cause me the most anxiety are usually the ones that I need to explore. I said ‘yes’ to a university experience even though I did not have all the answers and was bound to fail repeatedly in a classroom of strangers. I agreed to work on consulting engagements that challenge my approach and yet I continue to look for ways to serve and add value. Travel brings numerous opportunities to fail publicly and yet I continue to pursue a destination even when I make a wrong turn or plan poorly. I participate in sports that provide moments physical pain. 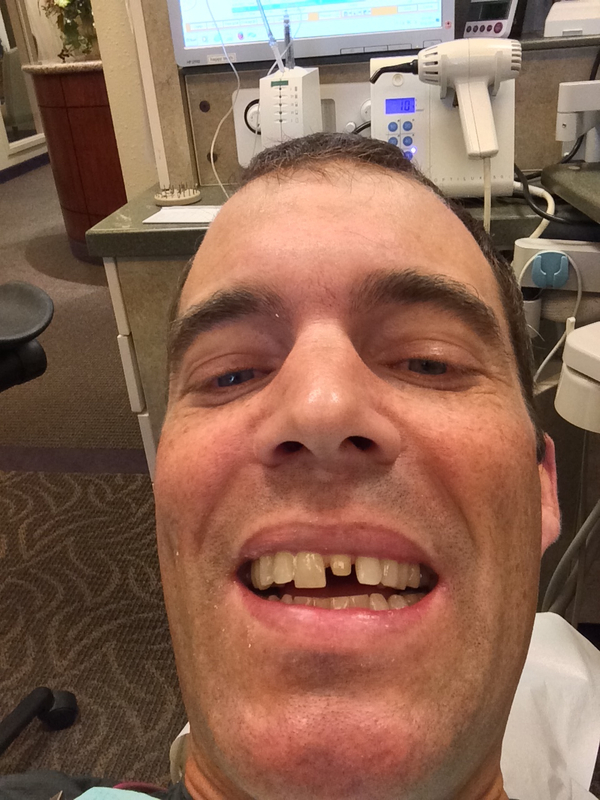 My original front tooth lies somewhere on the side of the road in NH thanks to a cycling team crash in High School. The very public mistake of inadvertently brushing my front wheel against another rider’s rear wheel left me more committed to my craft. As Seth Godin reminds us, do work that matters. I highly recommend Seth’s audio book, Leap First: Creating Work that Matters. The development of the audiobook inspired the publication of Your Turn, which is equally engaging. I have been handing out my extra copies to people who are trying to create change and are willing to succeed and fail in public. I look forward to seeing our mistakes in public venues. Our art matters. * Banksy is not on Facebook or Twitter but his art continues to be discovered wherever he produces it.